Watermelon and Giuliano Kalamata Olives… is there anything as delicious as that pair? We don’t think so, which is why this must-eat summer dish summer is hitting our blog. 1. Slice jalapeños and ball watermelon (use a watermelon baller and scoop in a sphere). 2. 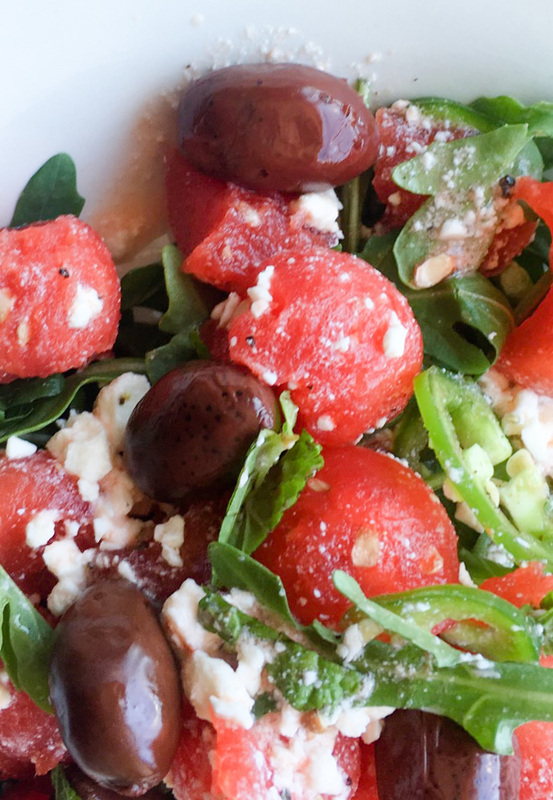 Top arugula with jalapeños, watermelon, feta, and Giuliano Kalamata Olives. 3. Drizzle olive oil and sprinkle on salt and pepper, to taste.